The attention the world of virtual reality has been receiving of late is of little surprise to anyone who shares a glancing interest in emerging technology trends – more so for those who are interested in producing or consuming creative media. As the field of virtual reality, or VR, begins to flourish, an ever-increasing amount of possibilities and depth of virtual experiences seemingly unfold. Yet the recent desire to engulf audiences in immersive audio experiences, within the recent VR evolution, appears to be becoming a bolder, more apparent one. Highlighted by the growing number of products, and small enterprises, appearing in the VR market place, beyond the ubiquitous headphone, there is a renewed focus on the world of immersive audio. Could it be that this is the time that audio, in the world of ?virtual reality, is finally receiving the attention it deserves? The casual observer may be quick to assume that both established large audio brands and new, smaller organisations are simply responding to the latest trend or VR fad with Google offering its Cardboard, Samsung Gear, and the widely-reported Oculus Rift soon due to arrive. For the enthusiast and professional alike, it is no secret that audio has long been sitting in the back seat of the virtual reality bandwagon; yet when respected manufacturers appear to be taking immersive audio more seriously it is evident the focus is shifting. Sennheiser’s global director of strategic innovation, Véronique Larcher, is quick to dismiss this as a case of jumping on the VR bandwagon, as “Sennheiser has been working on its immersive audio technologies for ten years”. As far as smaller brands are concerned, Dysonics CTO and co-founder, Bob Dalton reveals that they, too, are “not somebody that’s just entering the world of audio with an idea and going after it”. Dalton points out that its own evolution into VR can be traced back two decades as one of the first to publish Head-Related Transfer Function (HRTF) measurements – data still used in binaural audio today. The new brand is an all-encompassing umbrella trademark for the manufacturer’s 3D audio products and applications. 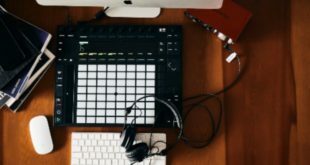 Such bold initiatives indicate for brands such as Sennheiser that immersive audio is fast becoming a format of choice in professional recording, mixing and listening. Nonetheless, the complexities of creating a high-quality immersive audio experience are obvious to some, yet hidden to many. It is well known that with sound one can profoundly affect the emotion of an experience. Cremering acknowledges: “If you consume virtual reality without having sound…it’s [only] half the experience”. While a truly immersive experience would engage all five senses, it is sound that creates the emotional landscape and the critical sense of space for VR. As visual technology progresses the challenges of reproducing clear, high fidelity audio to match, and in real spaces, can be a complex matter. To meet the demands and expectations of both the VR consumer and content creator in vastly varying acoustic environments Genelec’s Lars-Olof Janflod, admits that despite their interest in new technologies and end-user experiences today, their loyalties remain with supporting the audio engineer, producer and mixer. Commercial studio environments have been employing multiple loudspeaker configurations, such as Auro-3D and Dolby’s Atmos, for some time now. Genelec demonstrated an innovative 7.1.4 array at the 139th International AES Convention in New York City last year, and in any such arrangement, the initial challenges of consistent loudspeaker equalisation and power have largely been surmounted through years of research and product development. The challenges in immersive audio applications nowadays are more concerned with inconsistencies in calibration and timing – critical to VR. Janflod states: “In immersive audio it’s of the utmost importance to have the same arrival time from each one of your loudspeakers.” The 7.1.4 configuration featured several new Smart Active Monitoring, or SAM, loudspeaker systems that employ proprietary Genelec Loudspeaker Manager (or GLM) control network and AutoCal calibration technologies to overcome such challenges. For Dysonics, Dalton says its current challenges are similar yet different as he concerns himself with maintaining “all the fidelity and the accuracy of where things are in…space” as objects and listeners move around. He explains that it is a blend of both linear and non-linear audio that creates an unfolding story for each VR participant, particularly in gaming. It’s the non-linear element, specifically, that is a challenge for Dysonics. 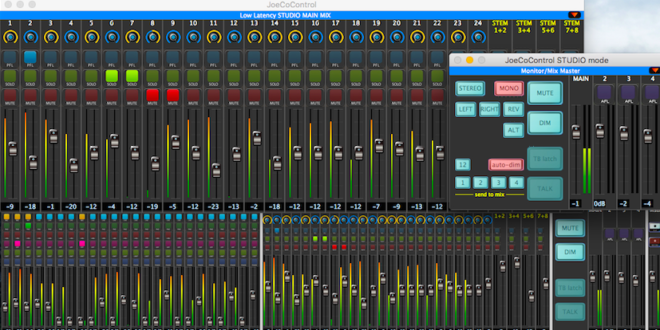 Today, the firm is focused on developing the tools for content creators and on real-time linear sound. Non-linear audio can be defined as where sound is experienced moving through a scene – a gunshot, for example – whereas linear audio can be considered as having a beginning and end, like a soundtrack. Fortunately for Dysonics and Dalton, “a lot of our early partnerships…are people that need linear VR [content creation] tools”. Larcher notes that Sennheiser is equally undeterred by the current technical challenges of VR. “I don’t see the challenges as technical challenges,” she says, so far as audio capturing and reproduction is concerned. 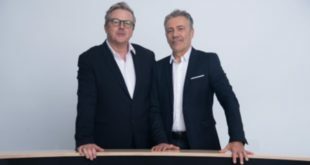 The company’s senior manager and Diplom-Tonmeister, Gregor Zielinsky, adds that the wide range of hardware and personal competence inherent at Sennheiser allows the global audio specialist to respond to the demands of the consumer, “whatever they may be”. What is not known today by large and small brands alike is how the VR customer or immersive experience user want to consume. Cremering suggests: “Nobody can really say where VR is [going to be] in ten years [from now].” According to Dalton, gaming is “where the money is” and Janflod agrees: “There is more money invested in games than in basically anything else these days.” This could all quickly change with the potential of AR (Augmented Reality), which Dalton claims, is “something that’s going to be part of our everyday [life]”. He points out that VR, unlike AR, is an experience that you may choose to have or make a consistent effort to enjoy. He adds that “the best days of VR are long ahead of us” while asserting that VR is simply a stepping-stone towards AR. 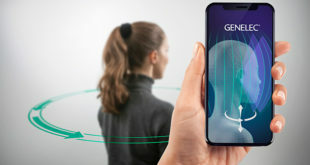 Larcher, as co-project lead for AMBEO, cautions: “The technical challenges will be higher [for AR]” because of the demanding requirements to achieve “a perfect blend between [the] artificial world and the physical world”. Processing is a critical factor for immersive audio and VR – plenty is needed. Current mobile device processing power and energy demands will likely influence or curtail the development of AR in the near-term, however, this is where Dalton believes Dysonics will succeed: “We’ve gone to extreme lengths to… find that optimum point where it’s extremely efficient,” he reveals. Using a process he refers to as ‘stitching’, Dalton states that Dysonics’ approach to capturing and rendering immersive audio playback relies upon an “infinitely complex recording but a fixed complexity playback” using eight channels of audio captured in native binaural. This allows the majority of the processing involved to simply ‘stitch’ the eight channels of audio together in response to movement and motion, for example, using its RondoMotion consumer head-tracking device to create “an extremely realistic experience”. Aimed at the consumer, the RondoMotion can be fitted to any pair of headphones. More recently the San Francisco start-up has partnered with Telefunken, using its TK61 capsules to develop an eight-capsule 360º microphone array, RondoMic, to produce a variety of sound location demos. Having captured the audio in this format to form a Motion-Tracked Binaural recording their algorithms and software ‘stitch’ together the live audio playback in real-time, a process which they claim uses far less processing power than real-time spatialisation. 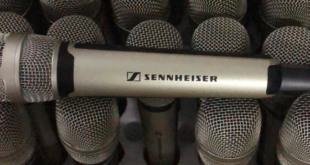 A further recent example of responding to the market is Sennheiser’s new VR microphone – still in prototype – which was previewed at CES before the official launch due towards the end of this year. The early release of the four-capsule Virtual Reality microphone signifies a change in the company’s operational approach. According to Cremering, the advent of VR has encouraged a change in mindset within the organisation. Whereas previously Sennheiser products were taken to market 100% complete, the VR microphone has been revealed earlier to elicit feedback from the industry. “Development time is changing”, Cremering claims, sharing that the speed at which products are being developed and taken to market is accelerating. “The biggest challenge from our perspective is that this business is very fast and we have to adapt. There are upcoming players and operational partners, it’s a more flexible kind of approach we have to learn,” he adds. Another challenge is predicting where the market is going to go and where the demand is going to be. “To give a safe prediction is difficult,” remarks Janflod. For manufacturers, knowing where to focus their resources is critical to their sustained success in VR now and AR in the future. Cremering comments that, to succeed in VR, as an established brand they “must be flexible”. Dalton is optimistic, suggesting that the “best days are long ahead of us”, and is excited by the fact that VR, and what is happening in the field of spatial audio is “pushing the boundaries”. For him, the opportunities appear endless – a sentiment seemingly echoed by everyone interested in VR. Janflod offered one pervading thought, that whatever unfolds, “it will be virtual for sure”. The recent shift sensed by many towards a more serious focus on audio in the world of virtual reality may be exactly that – virtual. What is real is that audio manufacturers are boldly innovating, pioneering and releasing new products developed from the strength of their own legacies, as they respond to a risky and rapidly evolving virtual reality market. What is also evident is that creating a convincing immersive audio experience is as important as it has ever been. The audio experience has to be both flawless and seamless to match the aesthetic. What is certain is that progress is inevitable. Until virtual reality convincingly replicates a life-like experience there is very little evidence to suggest that this rapidly evolving corner of the audio industry is likely to stop.